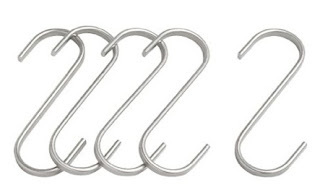 They’re cheap, look great and are relatively easy to move around and reposition. They’re big enough to grow decent sized plants in and, with the right growing medium, they don’t dry out too quickly, either. 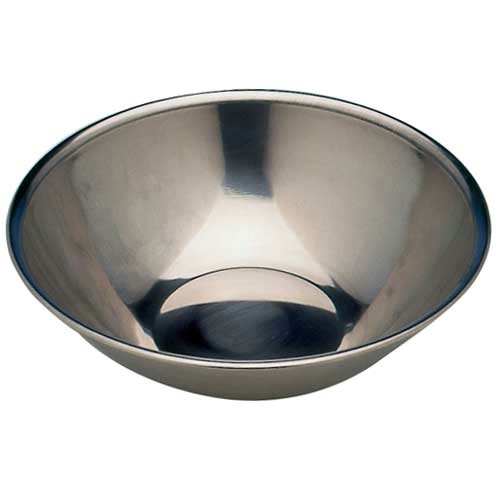 Stainless Steel Mixing Bowl – cheap and easily available from “poundshop” type stores (though I’ve never yet managed to get one for a pound!) I’m always careful to make sure that the bowl is wider than the base of each bucket, before buying it. 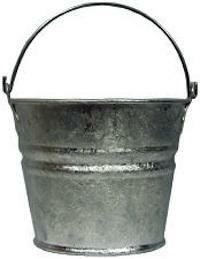 A Galvanised Metal Bucket (of course!) Cheap, versatile and readily available from most DIY and hardware stores. I very ca refully drilled 3 drainage holes into the base of the bucket. It was better, and safer for me, to place the bucket upside down and drill through the base that way. This is because the drilled holes can be jagged and so its better that the jagged edges are on the inside of the bucket- where they will eventually be covered in soil- and so less likely to cut my fingers. When I finally planted up each bucket, the attached bowl helped to retain the water and help to reduce overall watering. If I’m ever worried about over-watering my plants, I simply pour water into the bowl itself (rather than into the bucket) and a process known as “capillary action” draws the water up towards the thirsty plants. I just stop adding water when the water stays in the bowl and ceases to be drawn upwards. * NB. For those buckets where I know I’ll be placing them on the balcony floor , (and NOT suspending them with “S” hooks), I don’t bother to attach the bowls to the buckets with wire. I just sit the bucket on the bowl. Obviously! Honey Bee - attracted to the nectar rich "spring bucket" which is planted up with miniature daffodils and grape hyacinths. 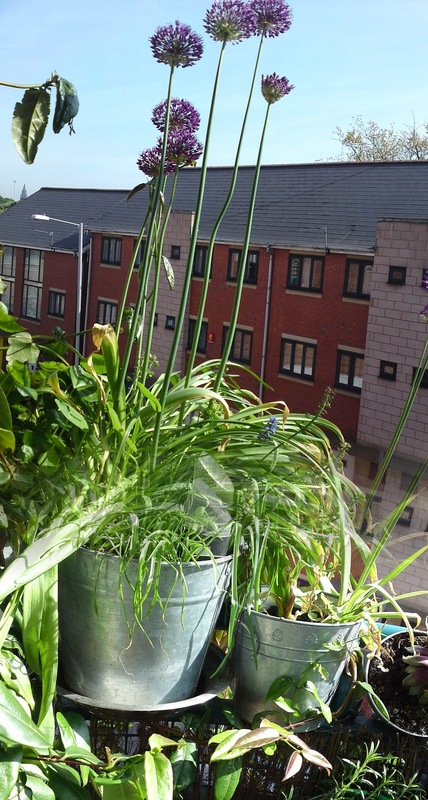 Subject to the load bearing capacity and size of the balcony , it’s also possible to consider using much bigger galvanised metal containers – which then gives scope for growing bigger climbers and small shrubs. 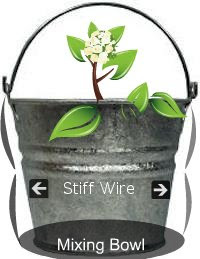 For example, I’ve used a galvanised metal dustbin to grow a large climbing hydrangea(loved by hoverflies). The volume of soil used means it doesn’t dry out as quickly as a bucket and allows the roots a lot more growing room.Clearly, the usual poundshop “drip bowls” , which I’d normally get for my buckets , would not be anywhere big enough for the base of the dustbin. I addressed this problem by heading out to one of the bigger, local Asian supermarkets and got a very large(catering size) stainless mixing bowl from there. When I got it home, the bowl fitted under the dustbin nicely – with room to spare. Once I’d finished preparing my buckets and other containers, the next step was on deciding what sort of growing medium to use? It’s lovely. I love it. well done.